The 49ers will unveil two statues depicting "The Catch" outside of Levi's Stadium during the team's game against the Los Angeles Rams on Oct. 21. "The Catch" was the signature moment of Clark's career, as he reeled in the winning touchdown pass from Joe Montana in the 1981 NFL Championship Game against the Dallas Cowboys. Per the 49ers, the "350-pound statues of Dwight Clark and Joe Montana will be placed exactly 23 yards apart, just as the two 49ers were during the famous play. The representation of Clark, with his hands outstretched, will extend 11 feet in the air." For the game against the Rams, the 49ers also will place a painted "87" -- Clark's jersey number -- in the north end zone, as a means to honor the approximate location of "The Catch." In addition, 49ers will wear "87" helmet decals to commemorate Clark, who passed away on June 4 after a battle with amyotrophic lateral sclerosis (ALS) at the age of 61. [post_ads]"Almost three decades ago, Dwight Clark's miraculous catch launched the San Francisco 49ers into an era of excellence," 49ers CEO Jed York said. "Since that time, he has served as an inspirational figure to citizens of the Bay Area and beyond. Dwight has meant so much to so many and it is only fitting that our organization continues to carry on his wonderful legacy. Clark caught 506 passes for 6,750 yards and 48 touchdowns during his career with the 49ers. His receiving yards rank third in franchise history behind Jerry Rice and Terrell Owens. The 49ers retired Clark's No. 87 in 1988. Following his playing days, Clark became a front office executive (1989-98), was a part of three more Super Bowl victories and later moved into a consultant role for the Edward J. DeBartolo Sr. 49ers Hall of Fame. Clark later served as a team executive for the 49ers, and he was the general manager and director of football operations for the Cleveland Browns from 1999 to 2002. --New York Jets safety Jamal Adams said the players of the team didn't put in maximum effort last season. In fact, Adams told the Bleacher Report that they wanted to do the "bare minimum" during the Jets' 5-11 campaign. "Everybody was used to losing; you can always tell that vibe," the 22-year-old Adams said in an interview that was conducted in the spring but published on Tuesday. "I came in, and it was like everybody wanted to do the bare minimum. They didn't want to go above and beyond. They didn't want to take that extra step. They didn't want to be uncomfortable, (but) to be great, you have to be uncomfortable. You have to be willing to sacrifice and willing to do the little things. And the team, the organization, just wasn't doing those things." Coach Todd Bowles chalked up Adams' words to inexperience. Adams, who said he doesn't regret his comments, didn't attach names of the players in the interview. "I don't blame Jamal at all for what he said," defensive end Leonard Williams said, per ESPN. "He probably just didn't word it in the best way. He's a young guy, he has a lot to learn on and off the field. This is part of the off-the-field stuff he has to learn." Adams recorded 83 tackles, two sacks and a forced fumble last season after being selected with the sixth overall pick of the 2017 NFL Draft out of LSU. --Los Angeles Rams general manager Les Snead said the team and star defensive tackle Aaron Donald are within a certain proximity in regard to their negotiations. So how close is that? "We're in the same zip code, area code, ballpark," Snead said on Wednesday, via the Los Angeles Times. When asked to clarify, Snead said: "I think we all know what that means. Zip code usually means you're close, but you still haven't agreed." Donald, who is the 2017 NFL Defensive Player of the Year, reportedly is seeking a contract that would top the six-year, $114 million deal signed by Ndamukong Suh in 2015. Donald's salary this year is $6.892 million as part of the fifth year on his rookie contract. The 27-year-old Donald did not report to the team by Tuesday's deadline to receive credit for an accrued season, meaning he will not be an unrestricted free agent if he plays out this campaign without a new deal. Instead, Donald would be a restricted free agent. "Nothing has changed since we started this process," Snead said, according to the Orange County Register. "The goal is still to come up with a win-win situation for the reigning defensive MVP and the Los Angeles Rams, and that's a long-term contract for Aaron Donald." Donald totaled 52 tackles, a team-high 11 sacks, a club-best five forced fumbles, 27 quarterback hits, one fumble recovery and two passes defensed in 14 games last season. Donald has 148 solo tackles and 39 sacks since entering the league in 2014. --The Oakland Raiders would like left tackle Donald Penn, who is on the physically unable to perform list, to take what several media outlets described as a "small pay cut." Penn, who skipped training camp last year while holding out before signing a $21-million contract extension in September, is recovering from Lisfranc surgery. Michael Gehlken of the Las Vegas Review-Journal first reported the news and Ian Rapoport of NFL Network said it's unclear whether Penn would take a pay cut. If Penn declines to take less money, the Raiders could release or trade him, but Rapoport said the team won't make a decision until the 35-year-old Pro Bowler is ready to play. The Raiders have been impressed in training camp with Kolton Miller, their No. 1 draft pick out of UCLA, who has been playing left tackle in Penn's absence. Penn is set to earn roughly $8.4 million in 2018, the first season of a two-year extension. Raiders head coach Jon Gruden told reporters on Wednesday that there is no timetable for Penn's return, but that he is getting closer and is expected to be ready for the regular season. --Atlanta Falcons running back Devonta Freeman appears to anticipate being penalized for his physical running style this season. Freeman said as much when discussing the league's new helmet rule with the Atlanta Journal-Constitution. "I definitely think I'm going to get (that call) a couple of times this year," the 5-foot-8, 209-pound Freeman said. Several NFL players have spoken out against the new rule that prohibits lowering the helmet to initiate contact. Freeman, however, admitted that the new rule is a good idea, but there could be trouble given his low center of gravity. "It's going to be one of those things it's hard to do something about," Freeman said. "You know Devonta Freeman. You know how Devonta Freeman runs. You know how Devonta Freeman practices. You know my mindset. "There's only so much you can do about football and tackling and defenders and running the ball. I got to play low, that's my advantage. That's what makes me different, what makes me successful at what I do. Being low and having low center of gravity, that's how I play. That's the NFL rule, not my rule." After rushing for more than 1,000 yards and 11 touchdowns in both 2015 and 2016, Freeman finished with 865 yards and seven scores on the ground last season. He missed two games and most of a third because of a concussion. 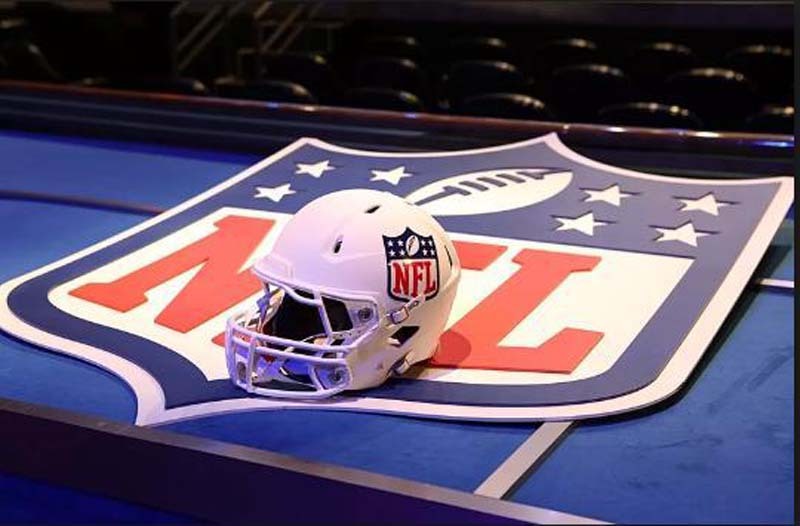 The NFL released a fact sheet regarding the new helmet rule last week after several players admitted to being confused. The league implemented the new rule in late March. According to the fact sheet, the penalties for a violation include a loss of 15 yards or ejection, which includes a set of standards. An ejection would be considered if a player lowers his helmet to establish a linear body posture prior to initiating and making contact with the helmet, if he has an unobstructed path to his opponent or if contact clearly is avoidable and player delivering the blow had other options. --Los Angeles Chargers quarterback Philip Rivers said that he is building chemistry with tight end Virgil Green. [post_ads]Green signed with the Chargers as a free agent this offseason. Per Rivers, the connection with Green has strengthened since the start of training camp. "(Our connection) is growing," the 36-year-old Rivers said, via the team's website. "We're working through how I like things, what I'm expecting on certain routes. He's getting a feel for this offense. He was in it similarly with (former Chargers coach Mike) McCoy (in Denver). Virgil is going to be just fine. He has played a lot of football and is a good football player. Those kind of things, you'll see more of that and more plays like that." Green will be asked to step up in the wake of the injury to fellow tight end Hunter Henry, who suffered a torn ACL on the first day of organized team activities. "I think it's going great," the 30-year-old Green said of his relationship with Rivers. "Obviously, Phil's a very vocal guy, and he lets you know exactly what he wants. We talk a lot at meetings. "Training camp is the reason why we put so much work in together, so we can make sure by the time we get to the regular season, we're on point with those (little) things. I think we've done a good job of trying to be consistent." Green was signed to a three-year, $8.6 million deal this offseason. He has 71 catches for 807 yards and four touchdowns during his seven-year NFL career. --Safety Obi Melifonwu of the Oakland Raiders missed a second consecutive day of practice at training camp because of an injury. The Las Vegas Review-Journal reported that head coach Jon Gruden said Melifonwu "had a flair-up. Lower body injury of some kind. We're still looking into that." --The Green Bay Packers addressed their ailing linebacker corps by signing James Crawford, the team announced. Ryan, who sustained a torn ACL in practice, was slated to start next to Blake Martinez at inside linebacker this season. Oren Burks and Ahmad Thomas were considered as possible replacements for Ryan, according to Packers defensive coordinator Mike Pettine. --Carolina Panthers offensive lineman Tyler Larsen signed a two-year contract extension, the team announced. Financial terms of the deal were not announced by the Panthers, but NFL Network Insider Ian Rapoport reported that the contract is worth $4.3 million with a chance to elevate to $5.3 million with incentives. Larsen, who is under contract through the 2020 season, was set to earn $630,000 in the final year of his deal. The Panthers have been hit by injuries on the offensive line during training camp. Starting left guard Amini Silatolu left practice Tuesday and needs surgery to repair torn meniscus, while All-Pro right tackle Daryl Williams dislocated his right patella and tore the medial collateral ligament in his right knee on July 28. The 6-4, 325-pound Larsen, who can play center and guard, appeared in a career-high 14 games last season in place of Pro Bowl center Ryan Kalil. He helped the Panthers rank fourth in the NFL in rushing, averaging 131.4 yards per game. The 27-year-old Larsen has played in 23 games with 15 starts over the last two seasons with Carolina. Larsen was signed as an undrafted rookie out of Utah State in 2014. After stints with the Miami Dolphins and Washington Redskins, he was signed by Carolina in the spring of 2016 and was on the practice squad for the first half of that season. --Safety Mike Basile played his college ball at Monmouth after growing up in Brick, N.J. and will now pursue a professional career in the Garden State. The New York Giants announced his addition to the 90-man roster on Wednesday. Basile was a first-team FCS All-American last year and left school as the all-time leader in tackles. He had 126 total tackles and 9.5 tackles for loss during his senior season. Basile fills the roster spot that opened when cornerback Teddy Williams requested his release in order to deal with a "family health issue." The Indianapolis had Basile in for a tryout after the draft, but he was not signed. --Rookie defensive lineman Dante Sawyer signed a free-agent contract with the Washington Redskins, the team announced. In a corresponding move, defensive lineman Tavaris Barnes was waived with an injury designation. --The Tampa Bay Buccaneers addressed their injuries along the defensive line by signing defensive tackle Nathan Bazata, the team announced. Bazata could find himself playing for the Buccaneers in their preseason opener against the Miami Dolphins on Thursday. Tampa Bay will be without defensive lineman Vita Vea (calf injury), who is the 12th overall pick of the 2018 NFL Draft. Bazata recorded 51 tackles and three sacks in 13 games with Iowa en route to being an honorable mention All-Big Ten pick last year. The 6-foot-2, 284-pounder started 37 career contests with the Hawkeyes. To make room for Bazata, the Buccaneers waived cornerback David Rivers with an injury designation.